During his State of the Union address on Tuesday, the President announced a plan to end the HIV epidemic. The Department of Health and Human Services (HHS) released documents detailing the plan, Ending the HIV Epidemic: A Plan for America, which aims to reduce new HIV infections by 75% in the next five years and by 90% in the next ten years. Leadership at CDC, NIH, HRSA, Indian Health Services, and HHS penned an editorial in the Journal of the American Medical Association on Wednesday outlining plans for coordination across several federal agencies. Important to note is that there has been no mention of syndemic STDs in the plan. NCSD released this statement and is working hard ensure that the STD field is represented in this plan. NCSD participated in several in-person meetings throughout the week with senior HHS officials and will continue to engage with the administration to ensure that STDs, a driver of many new HIV infections, are addressed in this plan. Due to NCSD efforts and a question posed by NCSD’s David C. Harvey during an address to the American Public Health Association on Wednesday, ADM Brett P. Giroir, M.D., Assistant Secretary for Health, did recognize that these epidemics are interrelated and that STDs have impacts on HIV transmission. The plan targets 48 high-morbidity counties across the nation that account for 50% of the HIV morbidity. It is expected these counties will be directly funded and that states in which those counties lie will be eligible for supplemental funding opportunities. Below is HHS’s five-pronged strategy to end the HIV epidemic. There are potential areas where these plans can and should intersect with the STD field. HIV HealthForce – A boots-on-the-ground workforce of culturally competent and committed public health professionals that will carry out HIV elimination efforts in HIV hot spots. Treat – Implement programs to increase adherence to HIV medication, help people get back into HIV medical care and research innovative products that will make it easier for patients to access HIV medication. Diagnose – Implement routine testing during key healthcare encounters and increase access to and options for HIV testing. Protect – Implement extensive provider training, patient awareness and efforts to expand access to PrEP. Respond – Ensure that states and communities have the technological and personnel resources to investigate all related HIV cases to stop chains of transmission. There has been word that this plan will entail a significant amount of new funding across multiple agencies and that the funding will not be reallocated from current HIV funding. The latest speculated dollar figures are a $130 million increase to CDC to implement aspects of the plan. Other agencies included in this announcement include HRSA, HIS, NIH, SAMHSA, and OASH. It is expected that this funding will be officially announced through President Trump’s budget request expected in mid-march. It is unclear how much, if any of these funds will be allocated to fund direct STD services, and it is unclear whether Congress will support the broader Ending the HIV Epidemic initiative. 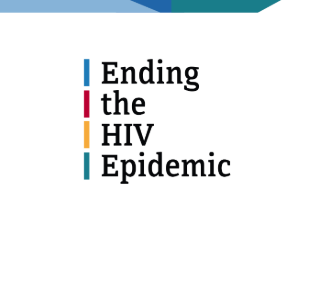 Tonight, Friday, February 8 at 5:30 PM (EST) there will be a conference call with the U.S. Department of Health and Human Services (HHS) and Subject Matter Experts on Ending the HIV Epidemic: A Plan for America. NCSD members are welcome to join. If you would like to submit a question, please send it to Taryn Couture, Senior Manager, Policy and Government Relations. We hope you will have time to join the call and be a voice for STDs! Below you can see some questions and topics of potential questions. Some NCSD members have submitted questions regarding how STDs will be engaged in the new plan. We hope the questions will make it into the queue. Better STD screening and treatment within HIV services, and full implementation of the PrEP standard of care, including STD screening AND treatment — all paid for under this potential new initiative. Support for the new generation of DIS and partner services where outbreaks are detected and investigated, working in culturally appropriate, confidential and trusting ways with the community. I share concerns about MHS, and the STD system is getting pulled into these investigations and NOT getting any resources to do it, never mind about concerns related to informed consent, etc. A complete and total ramp up of PrEP at STD clinics and support for STD clinic infrastructure so lab work can de done onsite. It’s criminal that there is no federal funding stream for STD clinics, which NCSD is trying to change. We know a large percentage of HIV diagnosis are occurring at STD clinics because folks show up with drips and burning — not seeking HIV testing first. If we can catch and treat STDs, then we can enroll in PrEP folks who need it or get folks on treatment for viral suppression. NIH research for STD treatments and diagnostics is shockingly underfunded. Why the hell don’t we have massive research going on for vaccines and promising new treatments that can prophylactically prevent STDs, thereby helping to also reduce HIV infections as well.